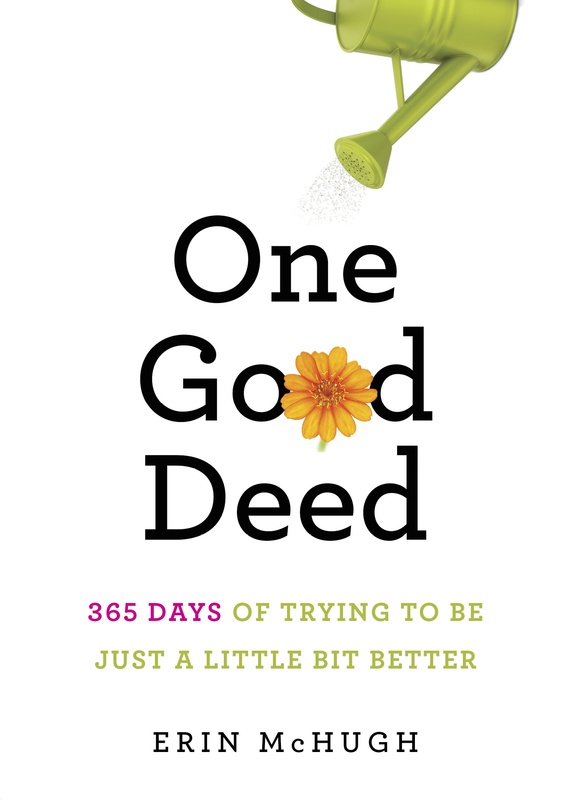 Well, ONE GOOD DEED friends, at last I can reveal our gorgeous jacket for ONE GOOD DEED, the book, coming your way September 1. I’m thrilled and would love to hear what you all think. Thanks, Elyse. Excitement is building! Cait, was just thinking of you today! Actually, I’ll be on vacation (at last), but I, too, look forward to you hadselling them! Thanks! FABULOUS cover design! Truly! Very uplifting and great “shelf appeal!” Congrats! Can’t wait! Thank you, Pam! Glad to hear everyone’s reactions. I think you’re right — it’s fresh and clean and easy of the eyes, isn’t it? I can hardly wait, either. Thaks, Chris! You’ve only seen about 1/3 of them here, of course, so there’s plenty more good deeds (and snarkiness!) to come. Glad you like it — thanks for chiming in! Love the cover! Great choice, I think. Thanks, Darlene. I think it’s right on the button! And as you can imagine, I’m veeeerrrrry excited. And this is one biiiiiiig baby!